The exhibition explores how Alfred Barr, the Museum of Modern Art’s (MoMA) first director, and Philip Johnson, the curator of architecture, introduced modern design to North America. The exhibition’s story begins when Barr and Johnson traveled to Europe in the late 1920s and early 1930s and discovered that leading European architects—such as Le Corbusier, J. J. P. Oud, and Ludwig Mies van der Rohe—were rejecting ornament in favor of a purity of form. Barr and Johnson dubbed this new architectural language “International Style.” Featuring more than 100 objects—including furniture, photographs, and industrial and graphic design—the exhibition traces the development of modern design from its origins at Bauhaus to Barr and Johnson’s radical experiments in their homes in New York City to MoMA’s nationally influential exhibitions in the 1930s and beyond. 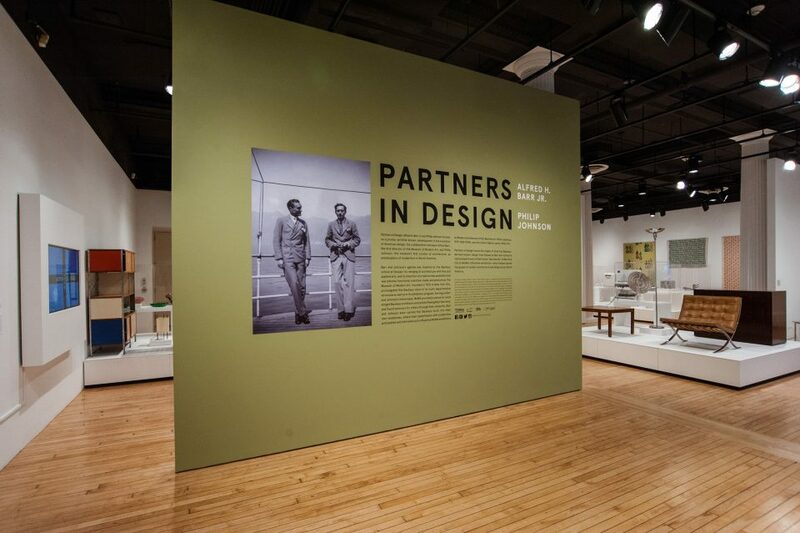 “Partners in Design” is organized by the Liliane and David M. Stewart Program for Modern Design and is accompanied by an illustrated publication.